A 37-year-old man has this evening been charged with the murders of Avtar and Carole Kolar. He will appear at Birmingham Magistrates’ Court in morning. We recognise that the murder of Mr and Mrs Kolar was a terrible crime, but please do not post anything obscene in any comments you wish to make on this latest development in the case. Herefordshire Council is to broadcast meetings live over the web. The authority, which first considered ‘Council TV’ back in 2010, will trial the scheme on Wednesday, February 1, broadcasting a planning meeting live from its Brockington offices. The webcast will be available to watch at the council’s website – http://www.herefordshire.gov.uk – and give residents who can’t attend or who have never been inside the council chamber a chance to watch councillors debate and then decide on a number of planning applications. The webcast will remain online for people to watch later in the day if they can’t log on at 10.30am. While admitting that a decent broadband internet connection will be needed to watch the webcast, Herefordshire Council’s electoral services manager John Jones said live broadcasts will make local democracy more transparent and open and is asking for feedback on the scheme. Detectives investigating a security alert at a primary school in Aston have charged a man in West Yorkshire with making a hoax bomb report. The 33 year old from Bradford will appear at Birmingham Magistrates Court on January 25. Over 800 staff and pupils at the Prince Albert Junior and Infant School in Albert Road were evacuated, and nearby roads closed, following the incident last November. As redevelopment of the old Longbridge works land continues, a Bromsgrove resident has launched a campaign to have a Museum of Working Life on the site. 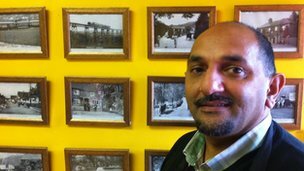 Local activist Mark France wants to see a museum to remember the contributions that workers at the car factory, from Austin through to Rover and MG Motors, made to the area. 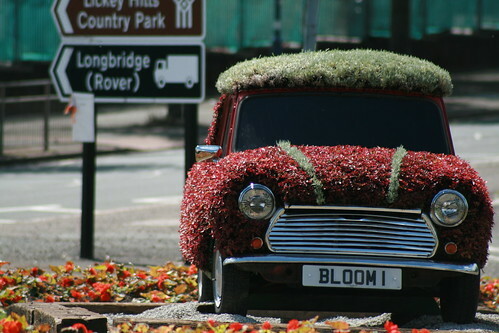 Mark’s father, grandfather and aunts and uncles all worked at the Longbridge plant. Professor Chinn is supporting the campaign and told us that it is important that we have something to remember the hard work of all the men and women who made Longbridge what it was. In the first step of the campaign, Mark has set up an e-petition to ask Bromsgrove District Council to work with Birmingham City Council, local educators NEW and Bournville Colleges and others to work towards the establishment of a working life museum. The issue will be debated by Bromsgrove councillors if the petition reaches 1250 signatures. You can sign the petition here. Through the campaign’s Facebook group, other supporters are working to set up a petition aimed at Birmingham City Council which you will find here on b31.org.uk once up and running. A Worcestershire man has started a petition calling for a museum of working life at the former MG Rover site at Longbridge in Birmingham. Mark France’s Working Life at Longbridge campaign aims for 1,250 signatures by 23 March. 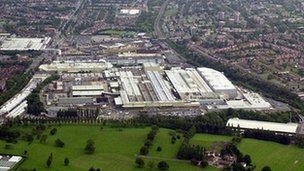 Around 14,000 people employed by the Rover group were based at Longbridge. MG Rover went into administration in April 2005 when 6,000 jobs were lost. Mr France, from Bromsgrove, said: “My own grandfather, my father, my uncles, my aunties all worked at the plant – it’s been quite a shock to see parts of the site bulldozed down. Arif Latif, known as Harry, from Rubery in Birmingham has expressed support for the petition after working on the site from 1990 to 1993. He said: “I think a lot of the younger generation would appreciate it – it’s important for them to know how it used to be and how hard people there worked. The petition, which Mr France plans to submit to Bromsgrove District Council, is calling for the authority to support to the idea. A spokesperson from Bromsgrove District Council said: “We’ve acknowledged this petition which was set up online using our Have Your Say consultation portal. Now two of the directors of Energy Saving Improvements Limited, which trades as Energy Saving Group, are running another energy sales company called Energy Reduction Surveying Limited. This company trades under the name Energy Reduction UK. Furious homeowners fear they have lost hundreds of pounds to a solar energy company that has gone out of business. Money Mail and the BBC’s Watchdog have received dozens of emails and letters from angry readers who paid £500 each to Energy Saving Group (ESG) to have solar panels fitted. All complain they have received neither panels nor cash refunds. 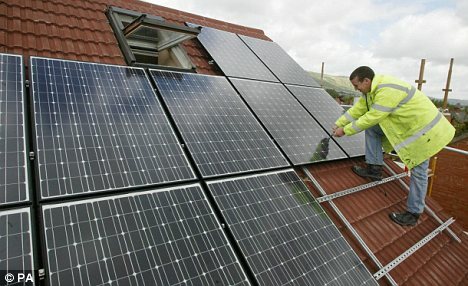 Customers say ESG had promised to slash their fuel bills if they had the solar panels installed. They were told their homes would benefit from the solar energy generated, while the firm would pocket a government subsidy, called the feed-in tariff, which is paid for extra energy generated and sold back to the grid. This promised payments of 43.3p per kWh of energy generated and sold back. Last month, the tariff was slashed to 21p. This type of offer is not unusual — and is commonly known as a ‘rent-a-roof’ scheme. But fears are growing that thousands of homeowners across Britain may have lost hundreds of pounds after being enticed by solar panel salesmen. Money Mail has come across dozens of cases where ESG customers have had to wait for months for panels to be fitted after making payments. In a letter sent in August, many who had requested refunds were told ESG was unable to pay back money to its thousands of customers all at once, but that they would be contacted when it was their turn. However, customers say emails and telephone calls to the address ESG uses in Redditch, Worcs, have gone unanswered. Some who contacted ESG in December have received letters telling them the firm has now gone out of business. And Money Mail can reveal two of the directors of Energy Saving Improvements Limited, which trades as Energy Saving Group, are running another energy sales company called Energy Reduction Surveying Limited. They are Steven Dickson, 33, who gives his address for both companies as Bromsgrove, Worcs; and James Manley, 34, from Hockley, Solihull. According to files lodged at Companies House, Energy Reduction Surveying Limited is registered at the Business Centre in Edward Street, Redditch. The company trades under the name Energy Reduction UK. ESG is registered in Billesley, Birmingham. When Money Mail called Energy Reduction UK, it said it was taking orders for solar panels, which it would install free or for £199. Many of the people who have lost money with ESG are pensioners on limited incomes who were persuaded to order the panels by door-to-door salesmen. Others followed up adverts in local newspapers. The customers left out of pocket include 74-year-old Peter Conyers and his wife Shirley, 65, from Norwich, who ordered their panels just under a year ago. The couple, who rely on just one state pension between them as their only income, paid £500 for panels after seeing a newspaper advert. Consumer groups have warned of vulnerable people being scammed by promises that solar energy could save them hundreds of pounds. Campaign group Consumer Focus warns that people who want to fit solar panels should order them only from companies registered under the REAL Assurance Scheme. They should also only sign a contract certified under the Microgeneration Certification Scheme (MCS). Always make sure you get at least three quotes from different companies before signing a contract. ‘Solar panels can save consumers money, but unfortunately there is bad practice in this industry, as in any other, and we know consumers have lost out through the actions of this company. Trading Standards, which is investigating ESG, says customers must wait until the company is dissolved before they can make a claim for their cash. Money Mail received separate statements from Mr Manley and Mr Dickson. Mr Manley says he set up Energy Reduction UK alone — although Mr Dickson is listed as a director — because he did not agree with the way that ESG’s customers were being treated by third-party installers. ‘He says he cannot comment on any issues relating to ESG. Mr Dickson says ESG stopped trading in December. However, records at Companies House show its status as ‘still active’. He says its liquidators will do everything possible to recover this debt in order to repay Energy Saving Group’s creditors, which includes customers who are owed refunds. A notorious preacher of hate could be released on to Britain’s streets after European judges ruled his ‘human rights’ protect him from deportation. 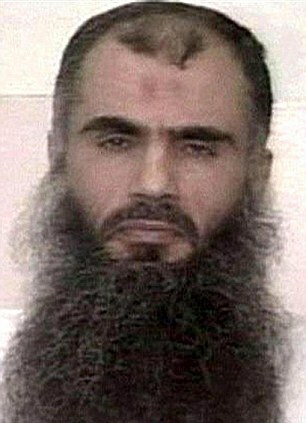 Abu Qatada, a radical cleric linked to Al Qaeda suicide attacks, is wanted in Jordan for conspiring to carry out bombings. 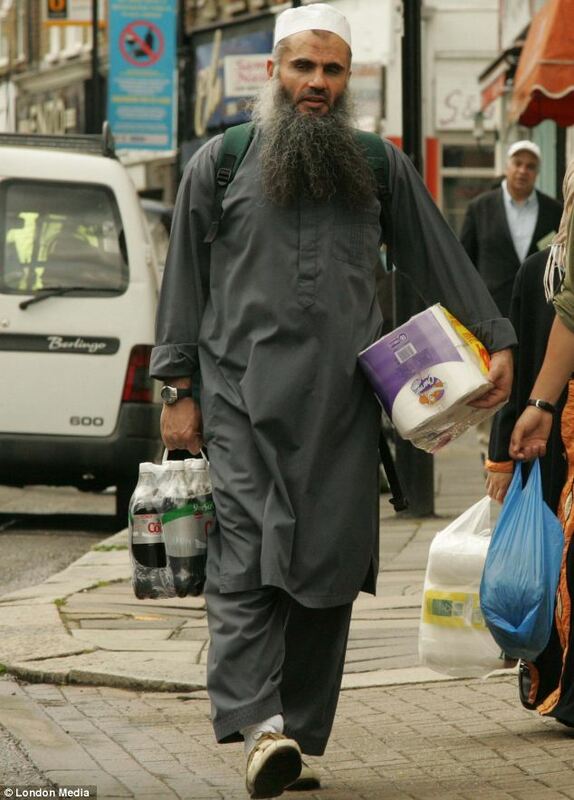 But the European Court of Human Rights yesterday ruled the UK government cannot deport the fanatic, once described as Osama Bin Laden’s ambassador in Europe, in case he does not get a ‘fair trial’. If the judgment stands, Qatada – currently in a high-security jail – will be freed in three months to a life on benefits with his wife and five children. Security officials would then be forced to monitor him around the clock to make sure he is not trying to justify or inspire future terrorist attacks. The European court accepted that Qatada, who has cost the UK taxpayer more than £1million in benefits, prison and legal fees, would not have been ill-treated in Jordan. However the judges said they were worried some of the evidence used against him may have come from torture. 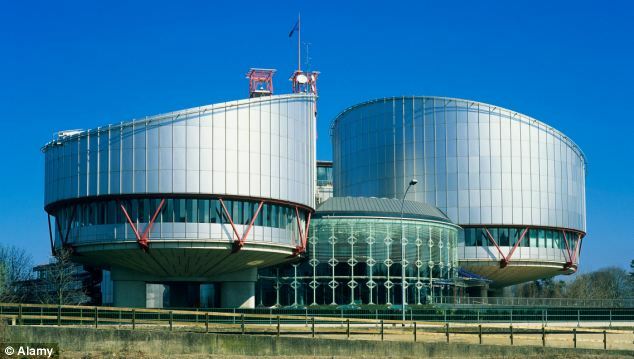 The verdict – which overturns a ruling by the UK’s own Law Lords – is the first time a deportation has been halted under the ‘fair trial’ section of the European Convention on Human Rights. Experts fear it could now make it difficult to kick out any terror suspect wanted by harsh regimes in the Middle East or North Africa. Last night, the Home Office was seeking ways to challenge the verdict, which becomes binding in 90 days’ time. If it does not appeal, there will be no further grounds to hold the cleric, who has been in and out of prison over the past ten years. 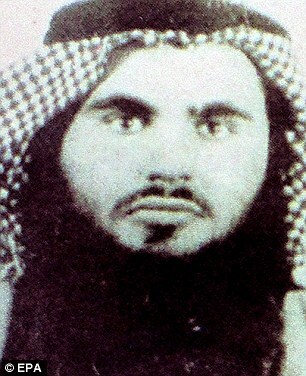 Qatada, also known as Omar Othman, featured in hate sermons found on videos in the flat of one of the 9/11 bombers. He is currently inside Long Lartin high-security prison after breaching previous bail terms. In a landmark judgment in February 2009, five Law Lords unanimously backed the Government’s policy of removing terror suspects from Britain on the basis of assurances from foreign governments. The Strasbourg court accepted that diplomatic assurances given by Jordan to the UK meant that Qatada would be protected from torture if he were returned to face charges in relation to the so-called Jordan Millennium bomb plot. But the judges added that the deportation had to be stopped because it was likely that torture had been used to gather evidence against him. He has already been convicted in his absence, but is likely to face a re-trial upon his return. This is despite the fact that our own Law Lords said there was no proof that evidence against Qatada had been obtained through torture. Politicians from all parties expressed horror at the Qatada verdict, which follows a bitter, decade-long battle. Tory MP Dominic Raab said: ‘Placing the burden on Britain to ensure foreign criminals and terrorist suspects are tried according to UK standards in their home countries will impede our capacity to deport those who pose a risk in this country. Blair Gibbs, head of crime and justice at the Policy Exchange think-tank, said: ‘This is a flawed ruling that drastically raises the bar for deportation cases. It is possible that Article 6 [right to a fair trial] could now be used to stop deportation to any country that fails to provide British standards of justice – which is most of the developing world. Home Secretary Theresa May said: ‘I am disappointed that the court has made this ruling. This is not the end of the road, and we will now consider all the legal options available to us. ‘In the meantime, Qatada will remain in detention in the UK. However, there was one piece of positive news yesterday when the Euro court ruled that Britain’s most dangerous criminals can be kept behind bars for the rest of their lives. Dangerous killers condemned to die behind bars in British jails are not having their human rights breached, Strasbourg judges ruled last night. By a knife-edge vote of 4-3, the European Court of Human Rights approved the use of so-called ‘whole life’ sentences without parole. There are 47 killers and rapists currently locked up indefinitely, including some of the most notorious criminals of modern times, such as Rose West, Moors Murderer Ian Brady, and Milly Dowler killer Levi Bellfield. But three convicted killers – Jeremy Bamber, Peter Moore and Douglas Vinter – said denying them any chance of release amounted to a breach of their human rights. Bamber slaughtered five members of his family in 1985. He shot his wealthy adopted parents June and Neville, his sister Sheila Caffell and her six-year-old twin sons Daniel and Nicholas at their farmhouse in Tolleshunt D’Arcy, Essex. He has always protested his innocence, claiming his sister shot her family before turning the gun on herself. Moore was convicted of four counts of murder in 1996 after stabbing four men – three of whom were gay – for his sexual gratification. Vinter was released from prison after serving nine years for the 1995 murder of work colleague Carl Edon, 22. Three years later he stabbed his estranged wife Anne White four times and strangled her. Lawyers for the men said the sentences were in breach of Article 3 of the European Convention on Human Rights, which gives protection against ‘inhuman and degrading treatment’. Four judges of the court dismissed the case, and rejected the argument that the Government had breached the men’s rights. But three others, including the President of the Court, said it was wrong to lock up killers ‘without hope’. They said the courts should provide ‘a suitable review mechanism’ so whole-life sentences can be examined and killers examined to see if they are safe to let out. If the killers had won, ministers would have had to create a system of examining whole-life criminals at regular intervals to see if they were safe to be released. But the prospect of any being let out would have horrified their victims and outraged the public. The narrowness of the ruling makes it more likely the case could be overturned if it goes to appeal at the Grand Chamber of the court. In a statement Bamber attacked the court’s decision, saying: ‘If the state wishes to have a death penalty, then they should be honest and re-introduce hanging. Instead, this political decision that I must die in jail is the death penalty using old age or infirmity as the method. A Ministry of Justice spokesman said: ‘The Government strongly welcomes this decision. ‘We argued vigorously that there are certain prisoners whose crimes are so appalling that they should never become eligible for parole. 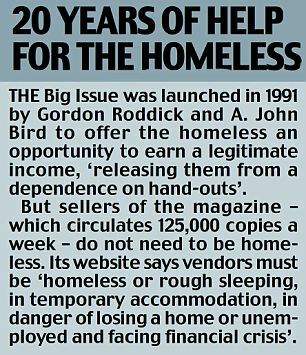 As a Romanian immigrant living in the UK, Big Issue seller Firuta Vasile already qualified for more than £25,500 a year in benefits. But one state handout she wasn’t entitled to was housing benefit. Until now. Yesterday the 27-year-old mother of four was celebrating having won the extra payout – worth at least £2,600 a year – after her local council was over-ruled by a judge. 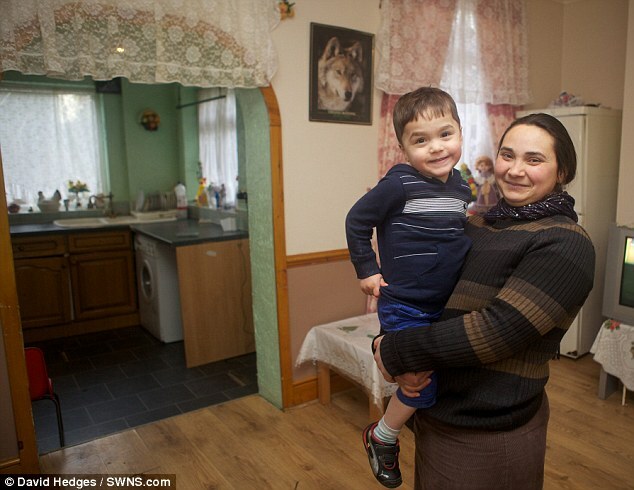 Miss Vasile, whose marital status is unknown, said the benefits money would help her pay rent on her £130,000 three-bedroomed home, while she continues to earn around £100 a week selling copies of the homelessness magazine. Housing benefit has previously been provided to Romanian citizens only if they fit into one of three categories. They must either be registered with the Home Office to work in specific sectors such as agriculture or construction, have highly skilled jobs, or be self-employed with a National Insurance number and tax registered. Miss Vasile has persuaded officials that she should be considered as part of the third category because she uses her own money to buy copies of the magazine in the hope of selling them at a profit. Speaking through an interpreter, Miss Vasile said she came to the UK in 2007 to look for work, but could find only a post selling The Big Issue in Bristol. ‘I can keep half of the money I take and I usually make around £100 per week,’ she said. 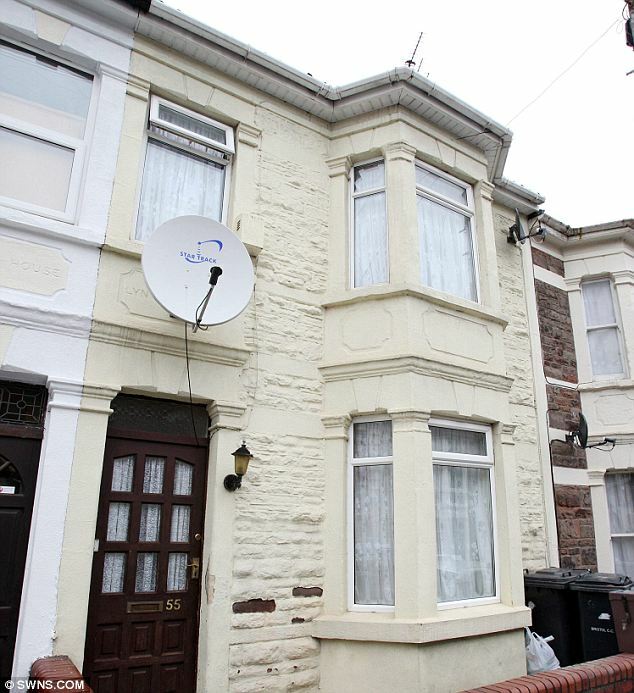 ‘This isn’t enough to meet all my family’s needs so I asked the council for housing benefit to help with my rent. My claim was turned down. Miss Vasile claims £25,547.60 annually in benefits. Every week she receives £326 in tax credits, £60.50 in child benefits, £49.30 in disability living allowance and £55.50 in carers’ allowance. She would now be entitled to around £160 a week in housing benefit – although this will be reduced to around £50 due to her other income. Unlike other European Union nationals, Romanians and Bulgarians are subject to strict employment rules in the UK because their countries were late entrants to the EU. Their rights will be brought into line with other European member states at the end of next year. 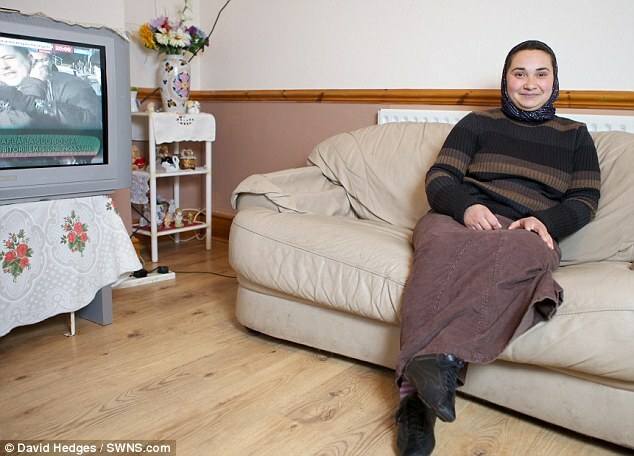 Miss Vasile, whose children are 11, seven, six and two, first applied for housing benefit from Bristol City Council on November 15, 2010. It was refused six days later. A social security tribunal ruled that she should be paid the benefits because selling The Big Issue counted as self-employment. But the city council appealed and the case was taken to an Upper Tribunal in London last year. Judge Mark Rowland released his written judgment on January 10 and the council has said it would not appeal again. Miss Vasile – who has one disabled child – was represented by welfare benefits adviser Andy King, of Avon and Bristol Law Centre. But Chris Grayling, minister for employment, said: ‘We disagree with the court’s decision.